3 cups all purpose GF flour blend. (I used Bob Red mills). Plus more for sprinkling. In a bowl combine all the dry ingredients and wisk together. 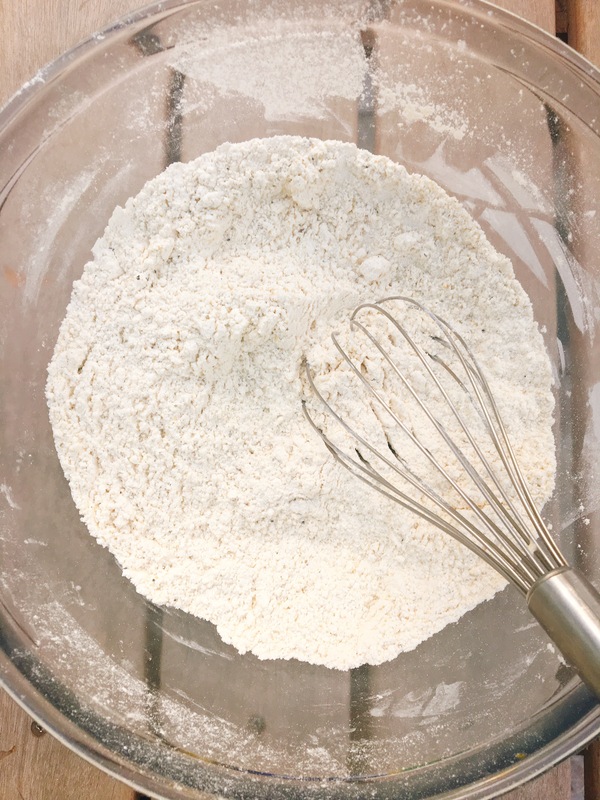 Sprinkle your work surface with flour, and empty out dough onto the surface and knead until it forms a smooth dough. 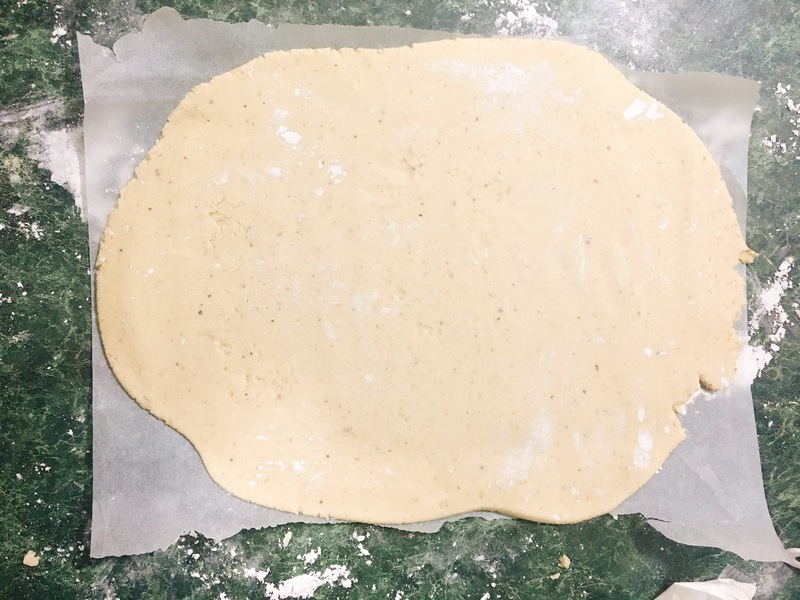 Next cut a piece of parchment paper to the size of the sheet pan you will be baking your pizza on. 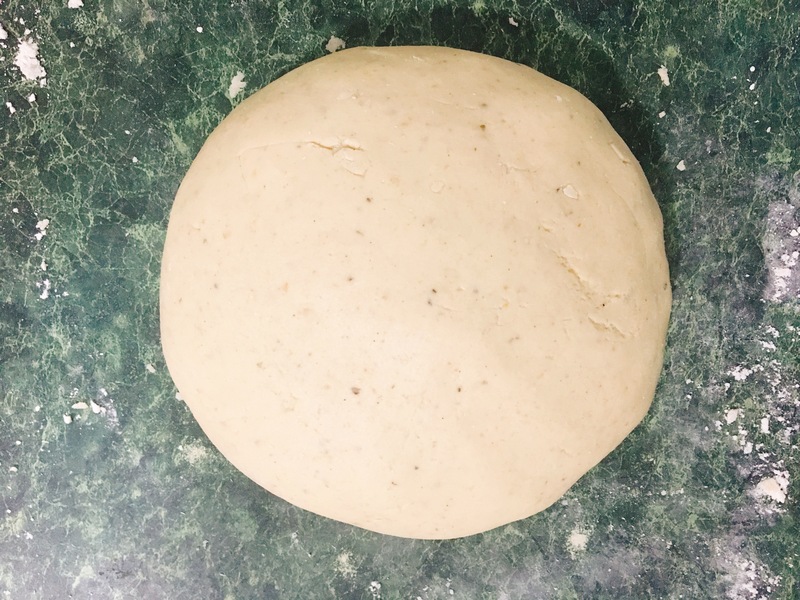 Place it on your work surface and roll out you dough on it to the desired size. 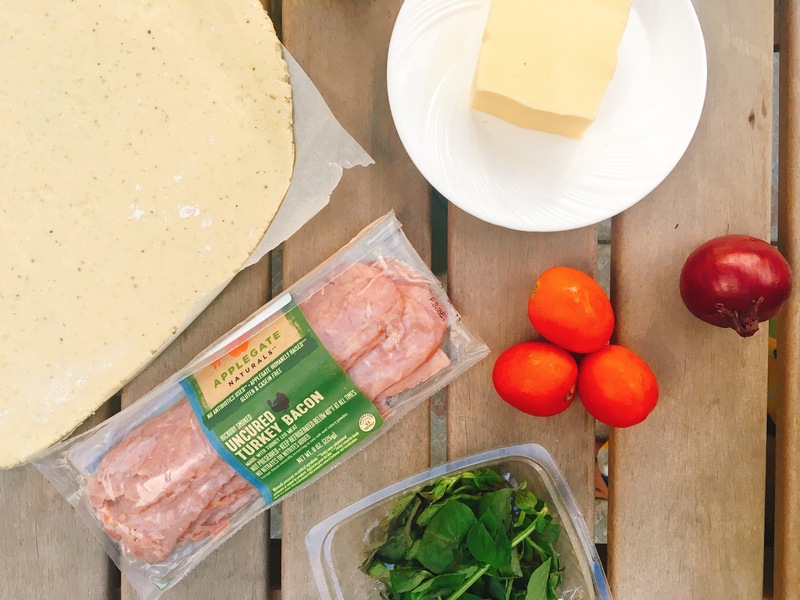 Place it on the sheet pan and cover with your favorite sauce and toppings. 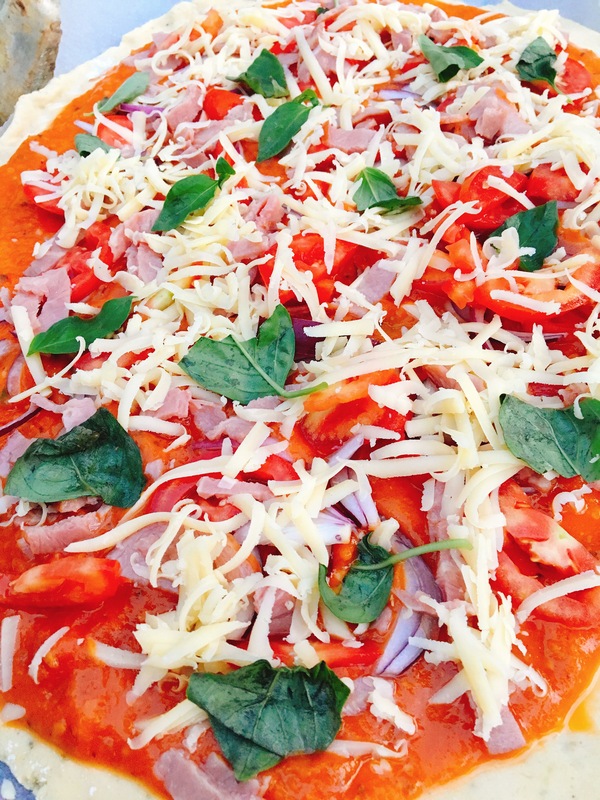 Bake at 375 degrees Fahrenheit for 20 – 25 minutes or until crust edges start to turn golden. Here’s what my pizza looked like. I used fresh tomato sauce that I made myself. Gluten free turkey bacon, onions, tomatoes and vegan mozzarella cheese. If you roll it thinner and wrap it over carefully like a calzone you get a nice crunchier crust on both sides. I brushed some olive oil on the top. Also, I put the cheese down before the sauce to prevent the bottom dough from becoming wet before it could cook. It was delicious. 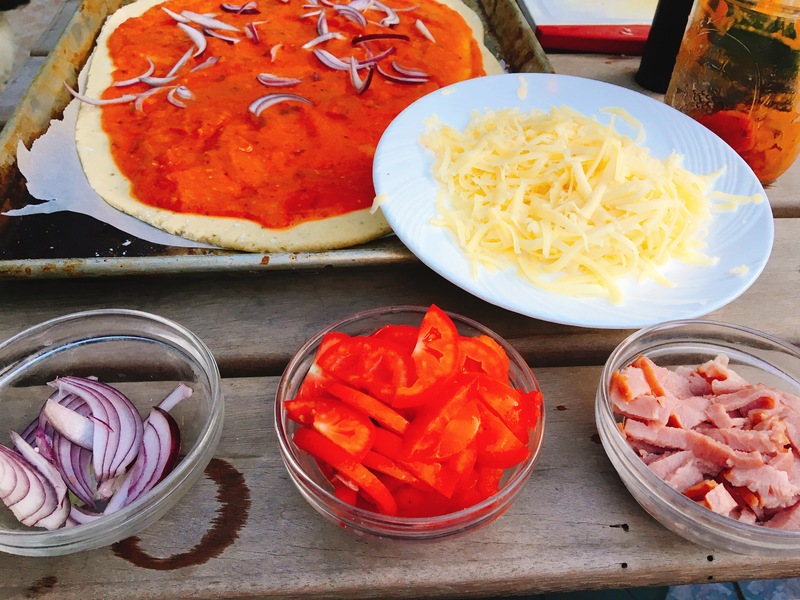 I had also tried the basic pizza crust but the calzone was much nicer as the dough cooked better when thinner. 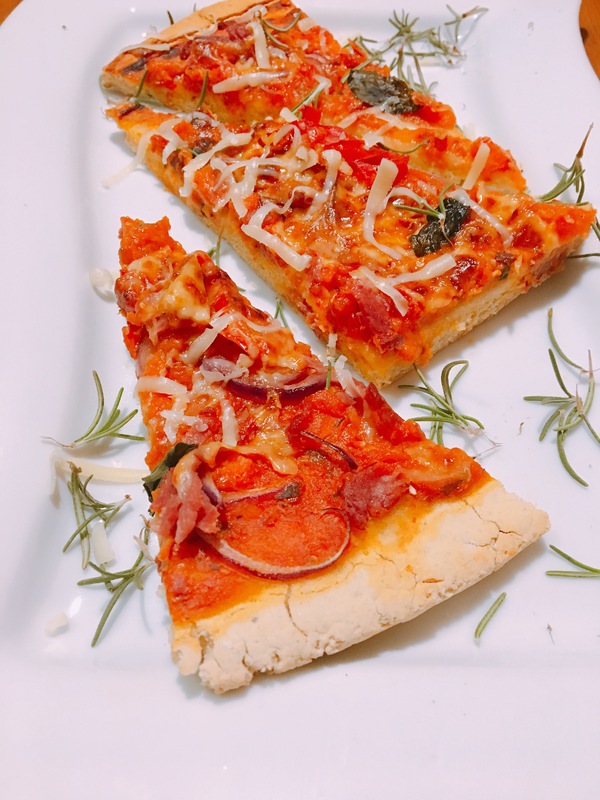 Thanks for the recipe-I have been looking for a gf pizza crust that tastes good for a long time. That sounds so awesome!!! I’m so glad you like the recipe. Definitely going to give those options a try!